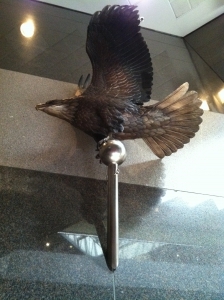 A bronze eagle by renowned artist Mike Curtis was commissioned to honor Hall W. Thompson and is located within the lobby of The Harbert Center in downtown Birmingham. The work was inspired by the logo for Shoal Creek Golf Club, founded by Hall Thompson and rated as one of America’s top courses. 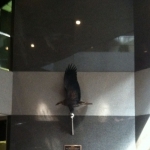 More importantly, the eagle is evocative of the deep patriotism and love of country of Hall Thompson. 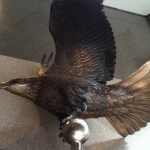 Eagles often nested on his property, where he enjoyed watching them in his past time. 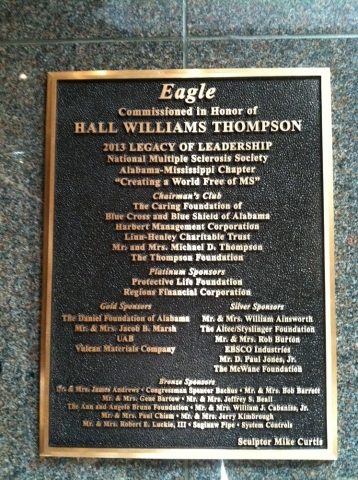 Chairman of Thompson Realty Company, Hall W. Thompson was one of Alabama's foremost business leaders. He was the retired chairman and chief executive officer of Thompson Tractor Company, Inc.
One of four children of the late Mary (Gibson) and DeWitt C. Thompson, Jr., Hall Thompson was born in Nashville, Tennessee, on May 28, 1923. After graduating from Duncan Preparatory School in 1941, he attended Vanderbilt University until called to serve his country in World War II. From March 1943 until January 1946, he served with the U.S. Army Air Corps in the Pacific. Returning to Nashville following his military service, he again entered Vanderbilt, while at the same time assuming responsibilities at General Truck Sales, the nation's largest privately owned GMC truck outlet. In 1957, he acquired the north Alabama dealership for Caterpillar Tractor, the world's largest manufacturer of earth moving and construction equipment, and a major supplier of diesel and natural gas engines and gas turbines. Thompson Tractor Co., Inc., established its headquarters in Birmingham, and under Hall Thompson's leadership, became one of the most successful Caterpillar dealerships in the nation. During the next two decades as the state experienced industrial growth, new tractor facilities were built in Anniston, Decatur, and Tuscaloosa. In 1987, under the leadership of Mr. Thompson's son, Michael, Thompson Tractor became the authorized dealer for south Alabama and the panhandle of Florida, employing 1,230 people. A dedicated golfer, Mr. Thompson fulfilled a longtime goal when he, with expert assistance from Jack Nicklaus, developed the Shoal Creek Golf Course. The magnificent course has gained national and international recognition in the world of golf and has hosted three national championships. In 1985, Golf Digest ranked Shoal Creek as the 14th finest golf course in America, while elevating it to #3 in the quality of turf grass. In the same year, Golf Magazine ranked Shoal Creek 26th in the world. 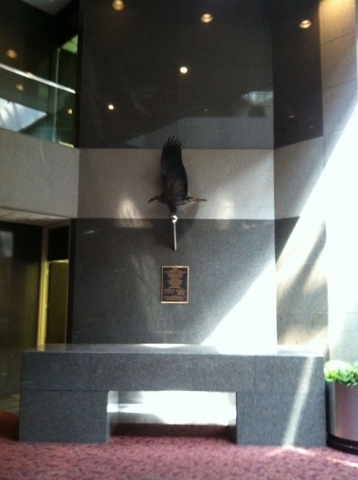 Mr. Thompson served on a number of corporate boards, including AmSouth Bank, South Central Bell, BellSouth Telecommunications, Protective Life Corporation, and Alabama By-Products Corporation. 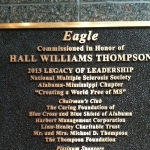 He also served on the Board of Trustees of the Crippled Children's Foundation and was the past director of the Birmingham Chamber of Commerce, the State Chamber of Commerce, and Associated Industries of Alabama. He served on the Vanderbilt University Board of Trustees until his retirement in 1993.